SE Landscapes are a domestic and commercial landscaping and paving contractor based in South Woodham Ferrers, Essex. Landscaping not only makes for an excellent investment but it also adds another room to your home and our strong local reputation has been built upon many successful transformations to our client’s gardens and driveways throughout Essex. Our highly skilled and experienced landscaping team takes great pride in transforming dull, tired spaces into functional and aesthetically pleasing outdoor spaces perfect for relaxing and entertaining. Specialising in hard landscaping, we offer our clients a wide range of landscaping services as well as providing our customers with a professional design service which includes both hard and soft features, from initial concept through to finished installation. Our aim is to deliver total satisfaction to all our clients through competitive pricing, quality workmanship, using the best materials available and by providing a level of customer service that exceeds expectations. We specialise in paving and driveways and provide landscaping services to clients in Chelmsford, Brentwood, Billericay, Southend, Wickford, Romford and throughout Essex, Suffolk and Kent. As a Marshalls Approved Landscape & Paving Contractor, our work is regularly vetted to ensure it remains at the highest standard. At the 2013 Marshalls Awards ceremony, our hard work and attention to detail was recognised when we were awarded with a regional award. More recently we received a further award in 2017 for a 700m2 driveway built for a client in Ramsden Bellhouse. When choosing a landscaping contractor, you choose the people behind it. 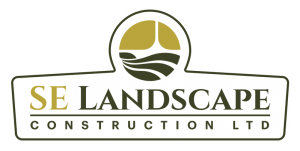 That’s why SE Landscape Construction has become the first choice of customers who expect results.We have extensive knowledge and experience within the Landscaping Industry with a proven track record of transforming gardens and driveways both large and small. We are personal company, big enough but not too big so that you become a number. Our quality of workmanship speaks for itself and our biggest source of work is through referrals and we strongly believe the best form of marketing is through positive comments from our clients; we go out of our way to ensure that our customers are 100% satisfied. We also take great pride in our work, we will never cut corners and always ensure that our sites are run with maximum efficiency whilst adhering to strict health and safety policies at all times. All of our staff are friendly and courteous and we go out of our way to ensure that there is minimal disruption to both yourself and your neighbours. We promise all of our customers to keep the site as tidy as possible during construction and treat your home as if it were our own. We have Public Liability Insurance to the value of £10 million and Employers Liability for £10 million, giving our customers peace of mind that they are protected in the unlikely event of injuries or accidents occurring. We have also been approved by Essex Trading Standards and are currently members of the Buy With Confidence Scheme. Our commitment to a safe workplace is demonstrated by our membership of both CHAS and SafeContractor and we welcome the annual vetting that these organisations carry out on our systems of work and procedures.